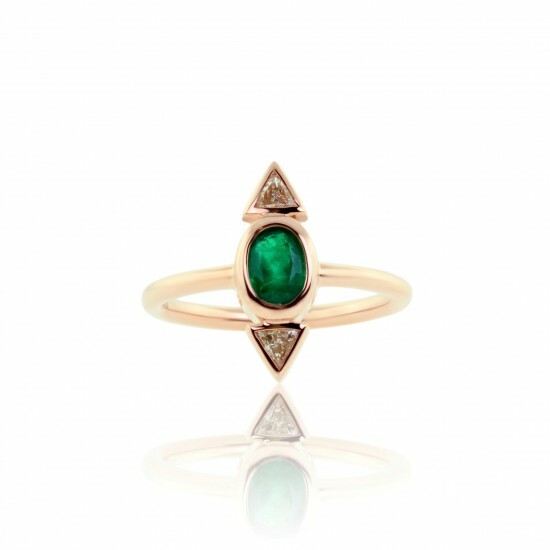 Show off your edgy, one-of-a-kind style with this geometrically inspired diamond and emerald ring. A 0.76 carat oval cut Colombian emerald is flanked horizontally by two trillion diamonds, M-N SI2, 0.13 ct. tw. 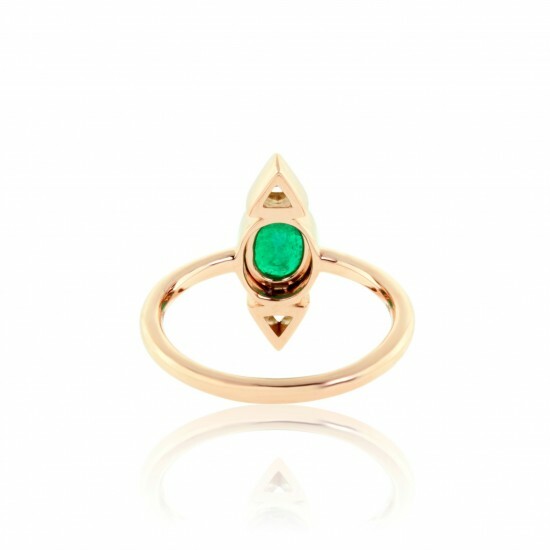 The trio of stones are mounted in a secure bezel setting to ensure that the emerald will not be easily scratched, damaged or prone to fall out. 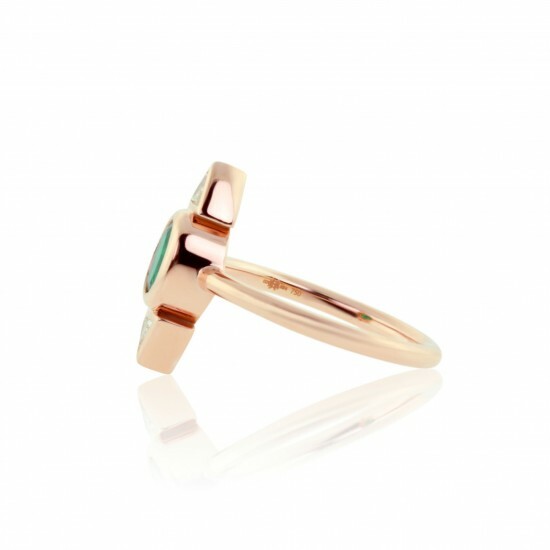 The ring is 18K pink gold and makes a stunning contrast against the grass green of the emerald. Gold weight: 4.22 grams. The best gifts are those with special meaning. Treat yourself or someone you love to conflict-free, natural colored diamond jewelry from Diamond Envy’s top gift ideas for her. Shop confidently with our 100% satisfaction guarantee and 60-day hassle-free return policy. We make gift giving easy with the best selection of diamond jewelry and free shipping on every order.